Pedestrians are 1.5 times more likely to be killed in a car collision than passengers. 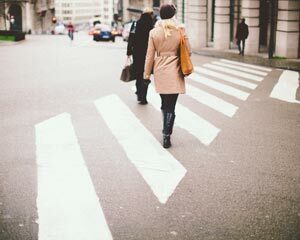 Negligent drivers make crosswalks, sidewalks, and other locations vulnerable places where anyone can become a victim of a pedestrian accident. However, negligent driving takes forms that you might not expect. We want to be sure that you are well informed. If you have any additional questions or concerns, please contact our legal team today for more information. Here are 5 common negligent driving behaviors that our pedestrian accident lawyers have encountered in their years of experience. What are the major causes of pedestrian accidents? Alcohol is a factor in about 48% of auto accidents that cause pedestrian fatalities, according to the Centers for Disease Control and Prevention. For this reason, it’s important that you call one of ourpedestrian accident lawyers as soon as possible if you suspect alcohol played a role in your accident. We can help you prove that by driving under the influence, the driver violated their duty of care to drive as a reasonable person would under the circumstances. You should never get behind the wheel of a car if you think your ability to drive has been compromised by alcohol. While the legal blood-alcohol concentration is under 0.08% for adult drivers age 21 and older, it’s important to remember that different people have different tolerances. Remember that “buzzed” driving is just as dangerous as drunk driving. Pedestrian accidents are more likely to happen when drivers make unprotected left turns. Instead of watching for pedestrians, drivers are typically looking for an open space in oncoming traffic to turn. Likewise, pedestrians are usually looking forward as they cross an intersection. If you or a loved one were recently struck in a pedestrian crossing by a negligent driver, call our pedestrian accident law firm as soon as possible. 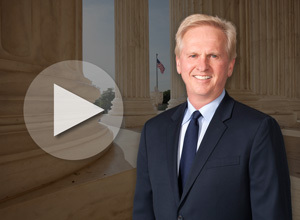 Our pedestrian accident attorneys can help you receive the compensation you deserve. It is illegal in the state of Michigan to text and drive. In Michigan, texting and driving is a primary offense, meaning a police officer can pull you over for it without any other offenses being present. While driving distracted will not be on your permanent record, you will face a fine if you’re caught. Besides texting and driving, other types of distracted driving include eating or fiddling with the radio. If you were struck by a distracted driver, request a consultation with one of our personal injury lawyers as soon as possible. We can help prove the driver was at fault for the pedestrian accident so you can receive the compensation you need to move forward with your life. Speed limits are put in place to protect motorists and pedestrians. For example, it’s important that drivers slow down in school zones, residential neighborhoods, and other places where pedestrians are more likely to appear. Drivers are held responsible for acting as a reasonable person would under the same circumstances. This means slowing down when driving in the dark, rain, fog, or other conditions that affect safety when operating a motor vehicle. Drivers are responsible for obeying traffic signs and signals. Unfortunately, pedestrians can get seriously hurt or even killed by negligent motorists. If you or a loved one have recently been injured by a negligent driver, don’t hesitate to request a consultation with one of our pedestrian accident attorneys. We stand for justice! Michigan is a comparative negligence state. This means that even if you are partially at fault for the pedestrian accident, you may still be eligible for compensation. For example, you may be found partially at fault for the pedestrian accident if you didn’t use a crosswalk despite there being one nearby. In this situation, the amount of compensation you’re eligible to receive would be reduced by the percentage you’re found at fault. At Beurkens Law, our Grand Rapids, MI pedestrian accident lawyers are highly experienced in personal injury law. To request a consultation with one of our Michigan pedestrian accident attorneys, call Beurkens Law at (616) 459-5344.